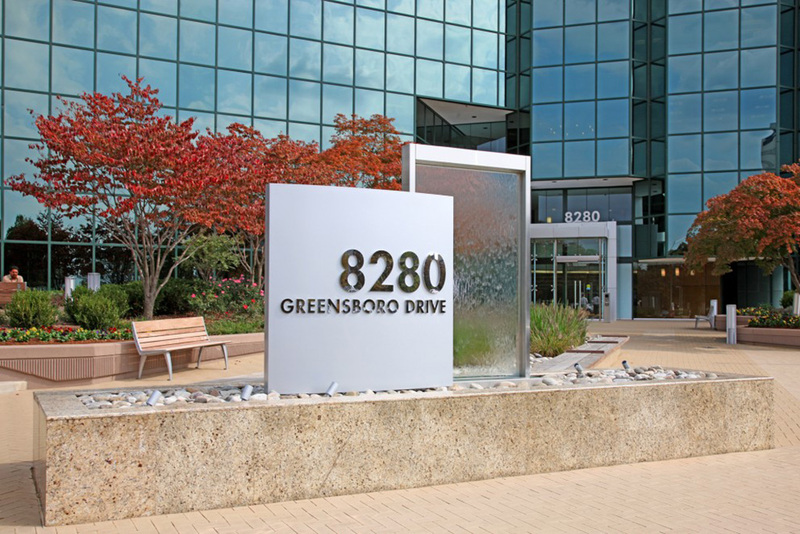 The office building at 8280 Greensboro Drive in McLean, VIrginia is a nine-story, cast-in-place concrete office building with full glass-curtain walls situated on a 2.64 acre parcel outside of Washington, DC. The ENERGY STAR score was raised from 47 to 80, annual energy consumption was reduced by 28%, water use reduced by 27%, diverting 52% of waste from landfills, and airborne particulates reduced using MERV 13 filters to earn a LEED-EB O&M Gold certification. HVAC Concepts designed and installed a new Tridium Energy Management System (EMS) and updated the EMS sequences for greater energy savings. Installed a new programmable Energy Management System (EMS) in 2011 to enable greater control over various HVAC components. The EMS enabled the engineering team to align the lease-defined hours of operation to the building systems so that some building HVAC components could be shut-down outside of business hours. An electrical meter replacement tied to the EMS allowed tracking and diagnostics of real-time electricity demand with an alarm generated by the EMS to identify spikes. A no-cost audit of night-time energy use was saving 200 kW of energy demand. New lighting controls were tied into the new EMS. Both tenant and common area lighting match the hours of operation. Lighting controls and occupancy sensors were also added to the three-level parking garage.